We have several events each year. Beginning in September with Smorgasbord, this dinner event provides an array of traditional Swedish foods. 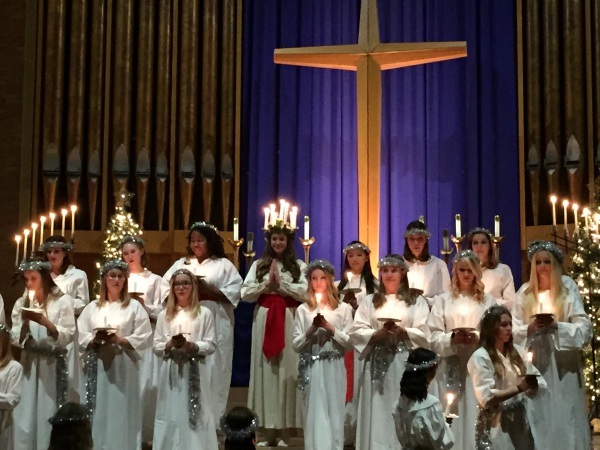 The club celebrates Thanksgiving dinner in November and a Lucia queen is crowned at the Lucia Festival in December. 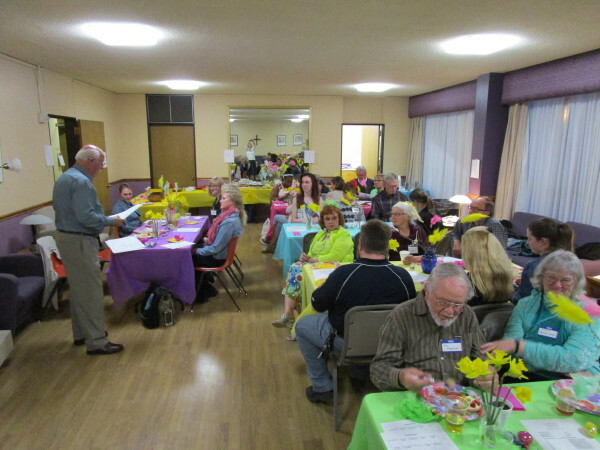 Other events include the Lutfisk Dinner and Julgransplundring, an Annual Meeting/Game Night, Easter Celebration, and participation at the Midsommar Festival in Estes Park. To kick off our fall season, The Swedish Club offers a traditional Swedish Smorgasbord, one of our most popular events. Encyclopedia Britannica defines Smorgasbord as a buffet offering a variety of fish, cheeses, and hot and cold dishes including herring, potatoes, cold meats, and salads, and Swedish specialties such as gravlax (marinated salmon), meatballs, and Janssons temptation, a casserole of potatoes, onions, anchovies, and cream. These dishes are prepared by Swedish Club members for your enjoyment. The proceeds from this event support our Scholarship Fund. In November, we gather to give thanks for our ancestors who drew on their courage to leave their homeland for the great unknown in a new land. This is a traditional American Thanksgiving dinner with all the trimmings. 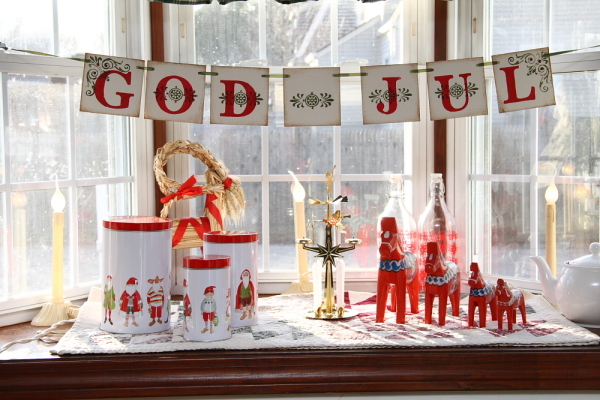 The Legend of Sankta Lucia: One of the biggest celebrations during the Christmas season in Sweden is St. Lucia's Day on December 13th. St. Lucia was an Italian Saint who wore candles on her head as she brought food to the persecuted Christians in Rome. It is said that Monks introduced her to Sweden along with Christianity. Lucia, meaning ‘light’, died on the 13th of December which was long considered the longest night of the year, and she thus became a symbol of light to the peoples of the North. Join us for our Lucia Festival to hear the rest of the story! You will enjoy a traditional Christmas dinner followed by the beautiful voices of the SWEA choir with our Lucia Procession in the Sanctuary. What's Jugransplundring you say? This is the Swedish tradition of plundering or taking down the Christmas tree, marking the end of the Christmas season on January 13th. The plundering is preceded by singing and dancing around the tree. Once the decorations have all been removed, the Christmas tree is literally thrown out the window or the door. Great fun is experienced by young and old as The Swedish Club celebrates this tradition followed by a Lutfisk dinner! You've never eaten Lutfisk? This is your opportunity to try it! Don't worry - there will be Swedish meatballs, too. This meeting is our annual business meeting with officer reports and election of officers. But it's not all business. We like to have fun, too! Following a casual potluck dinner, we compete in a variety of games that usually leaves everyone laughing. Pask (Easter) is a celebration of the arrival of spring in Sweden following the long nights of winter. In place of Easter Bunnies and Easter Eggs, we find Easter Trees (Paskris) decorated with brightly colored feathers and small Easter ornaments and children dressed up as Easter witches with kerchiefs on their heads. The Swedish Club will have an Easter egg hunt for the children followed by a meal from a local restaurant.